When it comes to the cleaning solution that you run through your hot water extraction equipment, there are many names given to these types of solutions – Detergents, Emulsifiers and Rinses. In-Tank Solutions. Some professional cleaners and restorers prefer acid or neutralizing rinses. Others prefer alkaline rinsing. Some prefer powders and others prefer liquids. The best news is that HydraMaster makes the right solution for everyone. Alkaline extraction detergents provide a higher level of soil removal on heavily soiled carpets and provide the lowest residue carpet cleaning job. Acid or neutralizing rinses restore the carpet to a neutral pH condition, prevent yellowing, and browning, stabilize colors, and leave a softer hand or “feel” to the carpet. 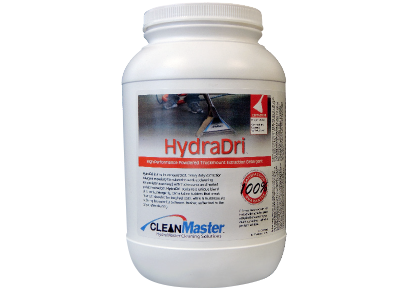 HydraDri leads the way as an easy to mix high powered alkaline powder carpet extraction detergent. 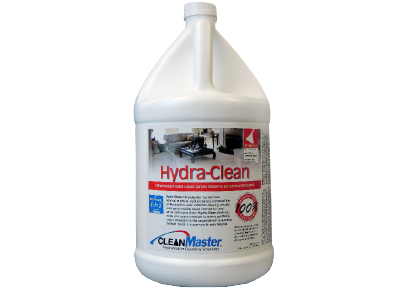 HydraClean has long been a standard in a liquid alkaline detergent safe for all synthetic carpet. 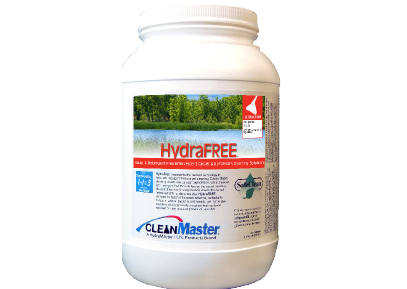 HydraFREE is a soap and detergent free effervescent carpet cleaning solution for the low residue, squeaky clean carpet cleaning job. 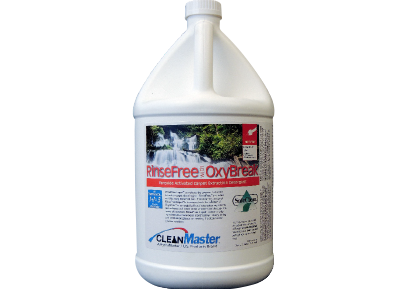 RinseFree with OxyBreak completes the meanest greenest carpet cleaning solution. 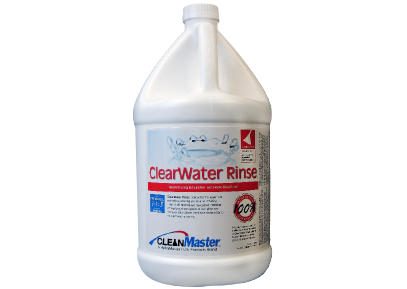 ClearWater Rinse set and holds the standard for an acid (or neutralizing) detergent rinse that provides additional deep down cleaning power to the advantages of an acid rinse.